Majestic Mirage Punta Cana is an all-suite, all-inclusive resort located on the calming white sands of Bavaro Beach in Punta Cana. This resort offers an adults-only section for those looking to have a relaxing and uninterrupted experience while on vacation. 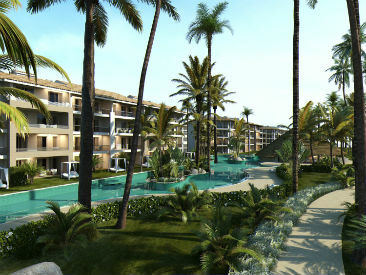 Guests looking to be more active have unlimited amounts of opportunities at Majestic Mirage Punta Cana including 4 tennis courts, windsurfing, boogie boarding, catamarans, exercise classes and more. Majestic Mirage Punta Cana is surrounded by lush landscape, breathtaking beaches and the crystal clear Caribbean waters, creating the ideal place to unwind and have fun. 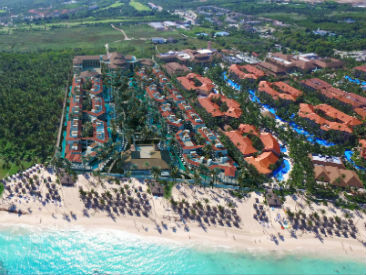 This resort is conveniently located just 15 miles from the Punta Cana International Airport and 45 minutes from the La Romana International Airport. For a more complete list of inclusive and additional facilities and services, see the facilities tab.